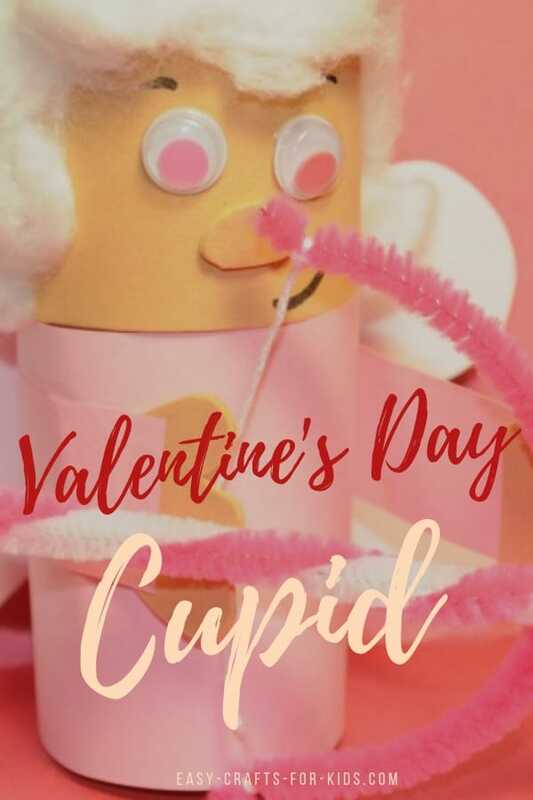 Today you’ll learn how to make your very own cupid. You can bring him to school and spread the love he can give! 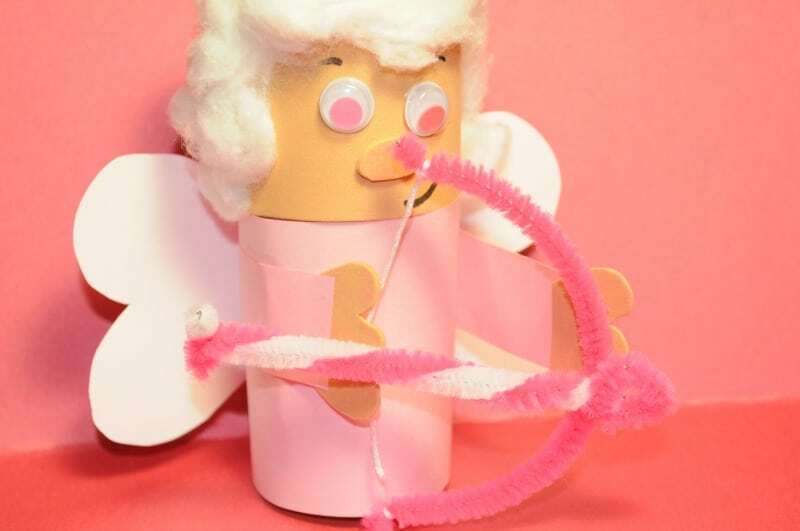 Our paper roll Valentine’s day cupid is great for all ages and is a fun decoration to keep for years to come. 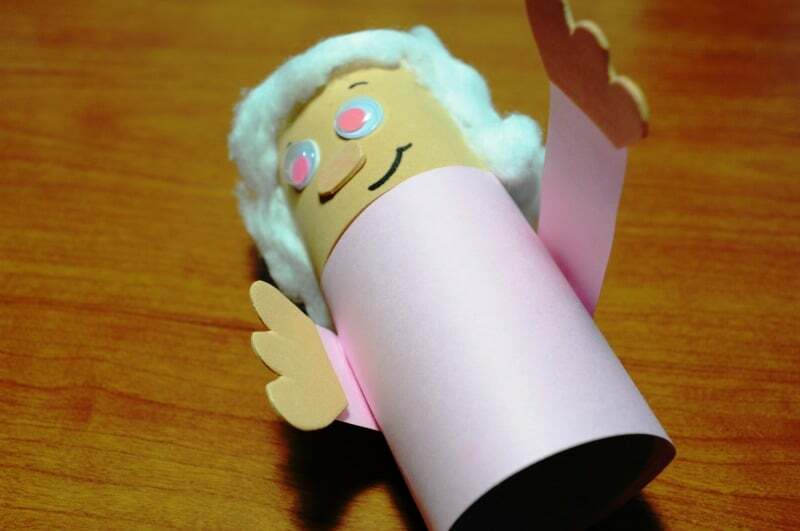 We’ve made him out of simple paper and a paper roll – then we decided to add in some fluffy hair and, of course, he needed his love bow! 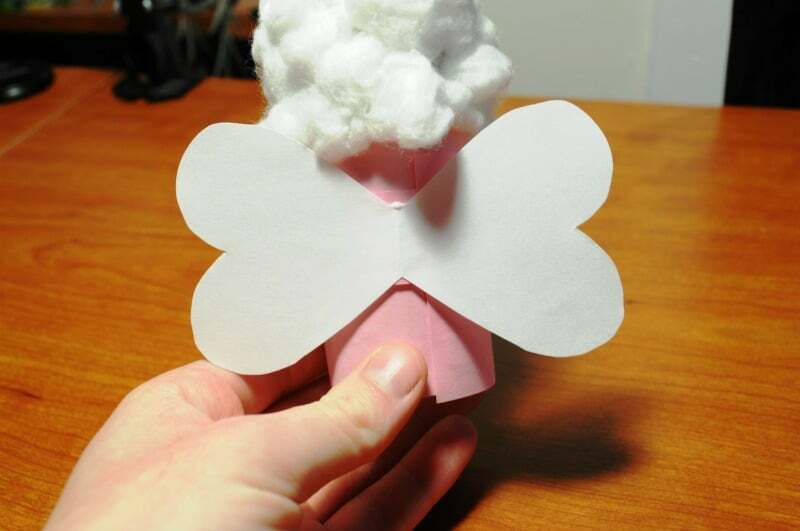 A cute Valentine's day cupid kids of all ages can make. Cut out a square of the beige/peach craft foam. 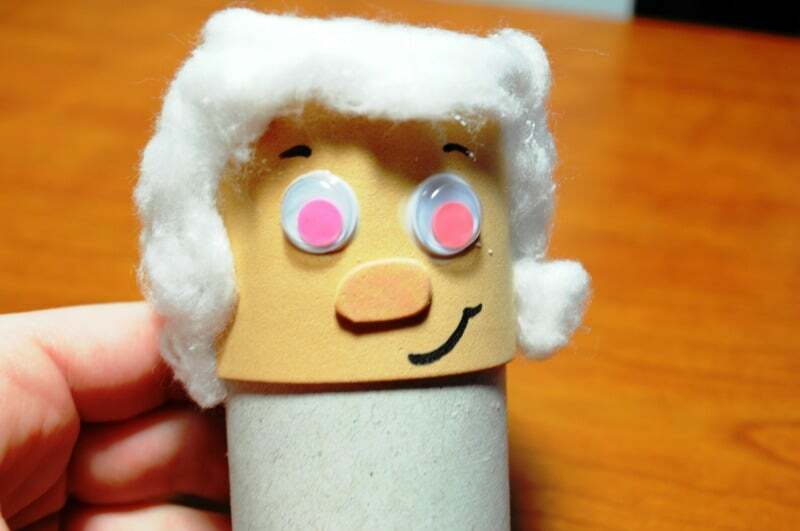 Glue it on to one half of your paper roll. 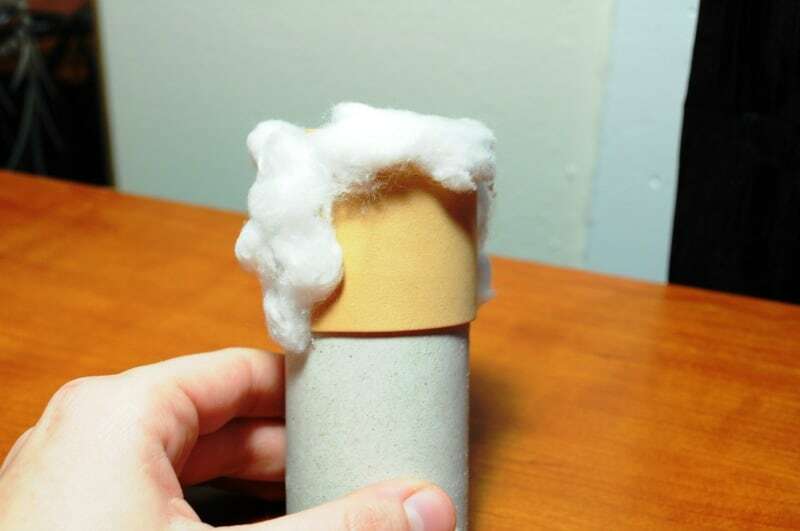 Tear up some cotton balls. Glue them all around the piece of craft foam and all around the back side of cupids head. Add your cupids face to the beige/peach craft foam. Glue on some googly eyes and draw on some eyebrows and a mouth. To add some depth we cut a circle out of craft foam to add as his nose. 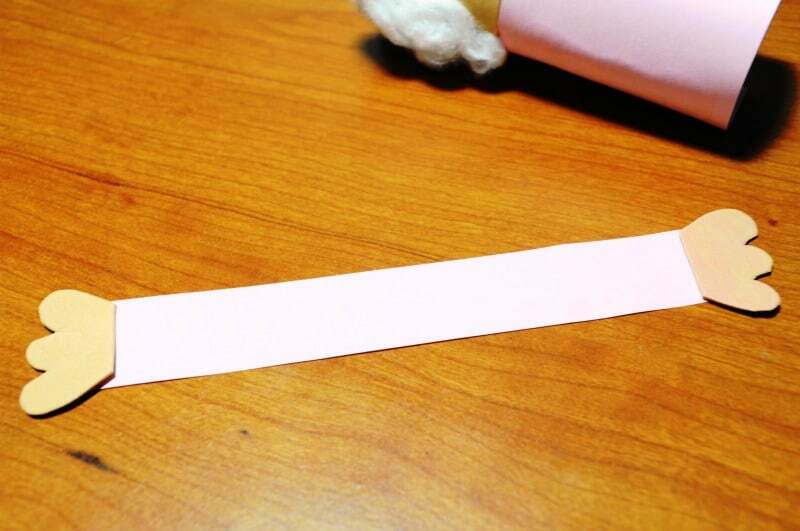 Cut another strip out of the pink construction paper, but make this one about an inch wide. Cut out two hand shapes from the beige/peach craft foam. 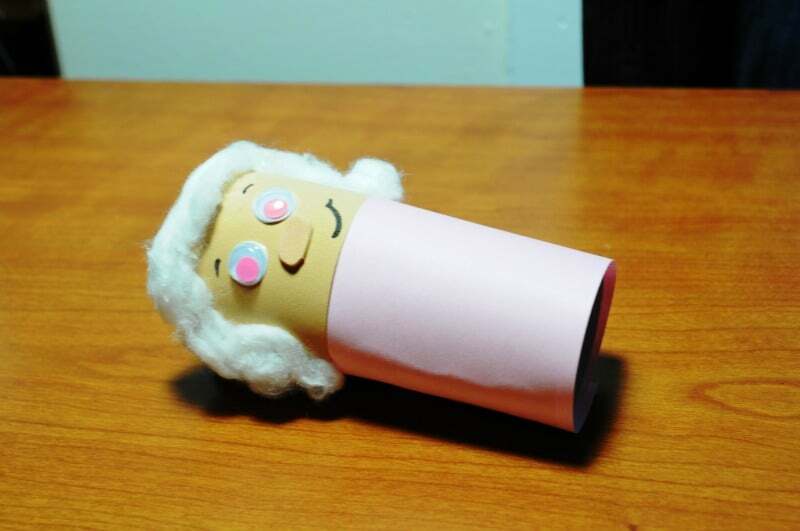 Glue one on to each side of the pink construction paper. 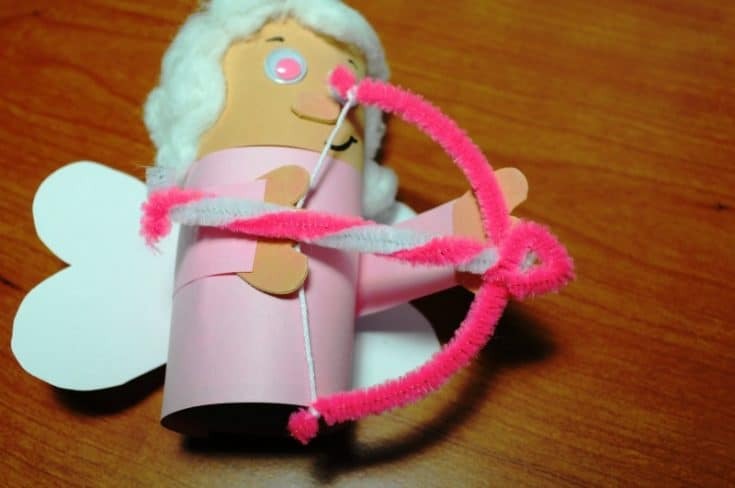 Now to start the bow for our kid Valentine crafts cupid. 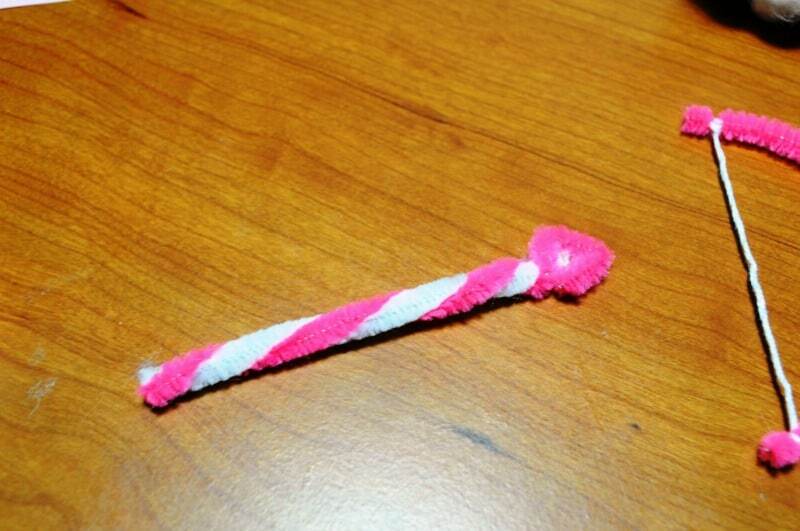 Cut a pink pipe cleaner in half, bend one half into a half moon. Tie a piece of string from end to end. This will be your bow. 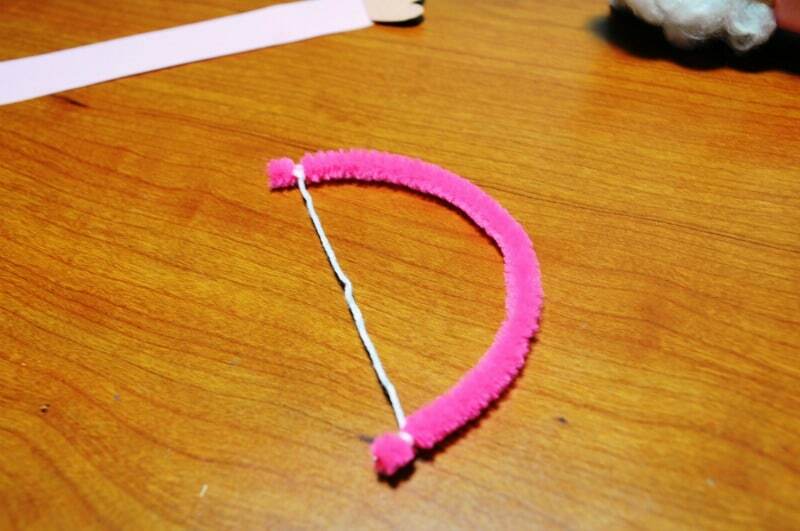 Use the other half of the pink pipe cleaner to make your arrow. 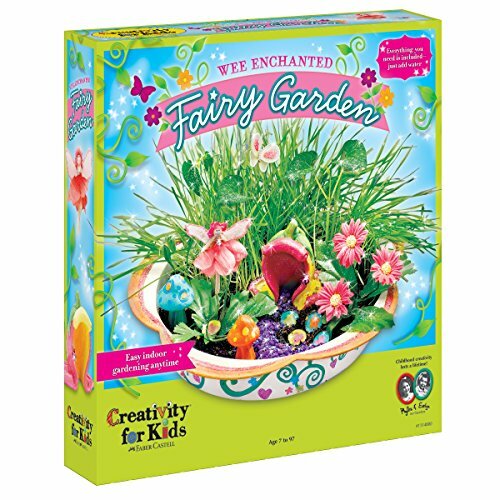 We also twisted in a white pipe cleaner for some extra color. Glue your arms around the body of your cupid. 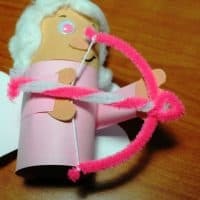 Glue them so that one arm is a little longer than the other - this is help him hold the bow better. 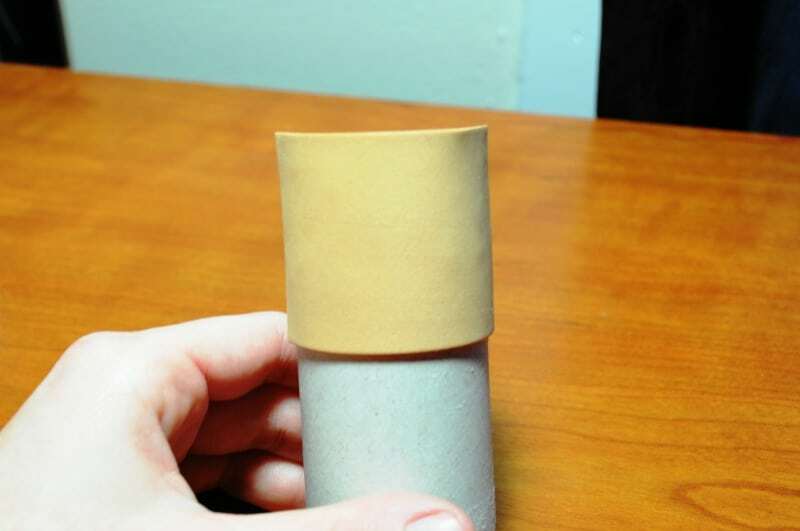 Fold a piece of white construction paper in half. 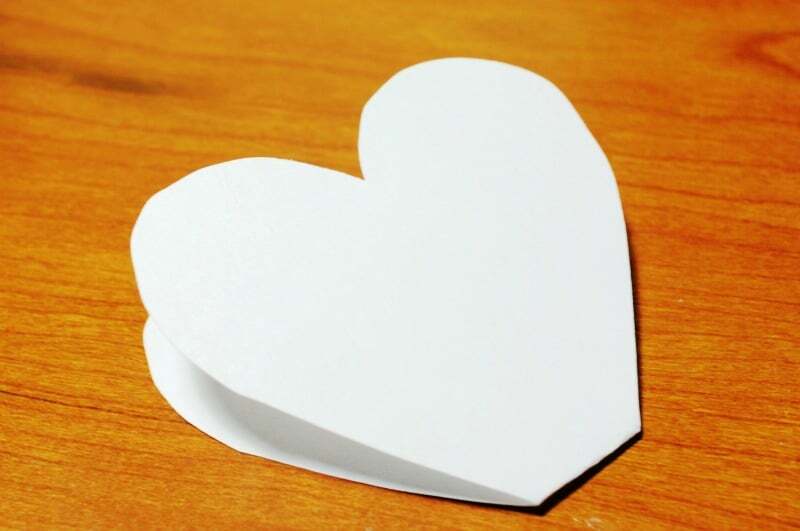 Cut out a heart shape - but be sure not to cut the bottom of the heart, this will leave them connected. Glue this to the back side of your cupid. Glue the bow to the longer arm and the string side to the shorter arm. Once dry, glue on your arrow. Now we have our very own love-filled cupid for Valentine’s Day!! 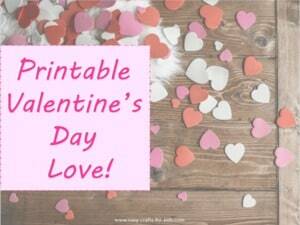 Do you wish you could make some homemade Valentine’s day cards? Now you can: check out our pack of adorable printable Valentines cards and send out lots of love and creativity!